While Google was busy sealing its acquisition of Motorola Mobility the company was also making a silent purchase of a firm that had a major hand in the design of the first Android smartphone. The creative duo of Mike Simonian and Maaike Evers has now officially come full circle with Google and its Android platform; the company, Mike and Maaike, was recently one of Google's latest acquisitions. "We have recently begun working within Google to help build an industrial design team for Android," Maaike Evers, told FastCoDesign in a recent interview. 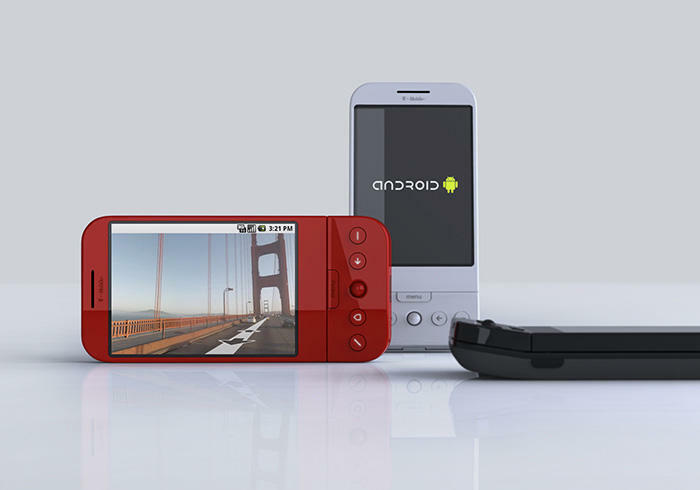 The assembly of a new Android design team suggests that Google is looking to produce a new breed of Android devices. "For centuries, we controlled our machines with levers, then knobs, then buttons, and finally displays on the machines themselves," Simonian told Co.Design. "Just about every product category is ripe for substantial change." The pair also discussed what it was like to work on the G1. "We wanted to emphasize the directness, the simplicity, and the tool-like approach," Mike & Maaike told Co.Design in 2009. "We proposed to do something like the iPhone before the iPhone came out. [Google] said it needed to have a physical keyboard because they didn't want to alienate people… The goal was to create something that was authentic to Google, and if you look at Google's website, it's very minimal not because of the aesthetic, but because of the function. That sort of steered the design in the directions that it went." The look and feel of smartphones have seen a lot of change since the early days of the G1. We can't wait to see what this creative team, whose resume includes Microsoft's Xbox 360 and Belkin's Comfort Mouse, has in store for the next generation of Android devices.